2018/2019 Season – Celebrating 25 Years! WELCOME TO THE 2018/2019 SEASON AT THE BOSWELL DANCE ACADEMY! This is our 25th Year and as New Westminster’s oldest established dance school, we also received happy news this August that we were voted and awarded Best Dance Studio 2018 by the New Westminster Record Newspaper and Reader’s Choice Awards. It’s a pretty great way to start off this exciting year! Huge thanks to the BDA Parents-Record readers who had also voted for us! Sharon Boswell (Admin), Lacey Clarke, Kathryn Carlberg (Co-Admin), Michelle Bedry, Bryanna Jang, Tristan Ranford, Samantha Block, Emma Best and Willow Chown. It is our aim to encourage and help each student in doing their very best and to achieve their goals and aspirations, to develop poise, confidence, discipline as well as a love for the art of dance, within a safe and supportive environment. About Ballet Examinations . . .
Royal Academy of Dance Classes (Children’s Grades 1-5) will now be preparing for the RAD sessions held Feb-early March before Spring Break. Vocational RAD Exams (Inter Foundation – Advanced 2) are held in Nov or Feb. In order to adequately prepare for these exams, students are required to attend a minimum number of lessons per week. 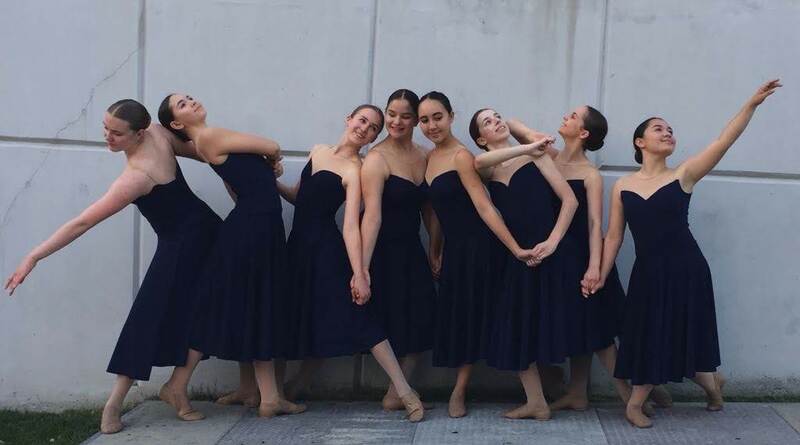 About Showtime 2019 . . .
Our Students will be performing in the 25th Anniversary Showtime performances, held Wednesday June 19th and Sunday June 23rd at the Michael J. Fox Theatre in Burnaby. A costume is required for each show routine with the average cost of about $60 to $80 per costume. Measurements for all students and costume billing occur in the 2nd Quarter/mid-Nov. More information about Showtime 2019 will be given during the year in subsequent email newsletters. About Festival / Competitions . . .
Takes place during the months of March through May at local venues. Competitive dancers are entered at the discretion of the teacher and must meet the criteria to compete. Separate entry fees and costume fees apply. Strong technical skill/ability, performance quality, positive attitude and high commitment level are among the basic requirements for consideration into our Competitive Division. About Holidays . . .
Christmas holidays start after Saturday, December 22nd with classes starting up Monday, Jan 7th, 2019. About Office Hours . . .
handed to teacher but must be in a sealed envelope with student’s name/ fee description written on front. Debit payment is available only during our posted office hours in person. E-transfers sent to our email address are also accepted for convenient fee payments. About Parking/Student Drop off . . . While students may be safely picked up/dropped off in the lane, please do not park and leave your vehicle in the alley. Please remember that the parking lot is reserved for the staff of various businesses in our building. The 4 reserved spaces 10, 11, 12 and 13 (the 2 diagonal spots to the immediate left and 2 straight spots to the immediate right of our entrance door) are primarily for BDA’s Teaching Staff. Please refrain from parking in these spaces especially on Saturdays before 4pm, or anytime before 6pm on the weekdays. There is free parking on the side streets around the building. Thank you for your cooperation and courtesy in this matter. In order to reduce paper waste, we will e-mail all newsletters to parents & students during the year. Any current newsletters can also be printed off from our website under Events and News.